Finding out what your customers like or dislike about your products and services should be at the top of your 'to do' list. But how do you find out that vital information without it taking too much time, costing too much money and most importantly, without annoying your customers? 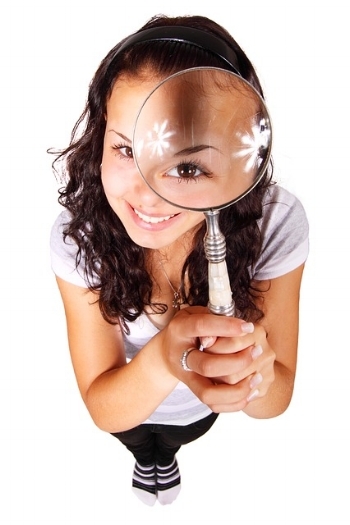 Mystery Shopping programs are used by businesses around the world to elicit customer feedback. It commonly involves engaging a Mystery Shopper Service who provide skilled Mystery Shoppers that will review your website, visit and/or call your work place with a pre-agreed checklist of items to assess and rate. You will be provided with the Mystery Shoppers insights via a written report or scorecard. These insights can help you improve products/services/processes, reward and recognise staff, gain new ideas and identify training opportunities. Of course, all this wonderful information comes with a price tag and how much information you gain and how often you want it will determine the cost. Before you engage with a Mystery Shopping service, weigh up these 3 pros and cons. 1. It’s professional. Professional mystery shopping providers will have experienced and trained mystery shoppers, customise comprehensive assessments to suit your business and will work with you to prepare your team for the process. 2. Can save you time. Once your program is set up, you don’t have to do anything else. The provider makes it happen and sends you the outcome reports. 3. You gain a rational view of your business. The mystery shopper has no emotional attachment to your products, services or staff so they can assess all aspects without the need to make a purchasing decision based on their own personal needs. 1. It can upset staff. Some staff can feel anxious about this process which leads to them acting differently and less confidently with your real customers. 2. It costs money. Yes, you could ask family and friends to do it for free, but they are unlikely to feel comfortable advising you if your business has problems. No matter how you decide to gain information from your customers, don’t stop talking to them over the phone or face to face. Remind your staff to routinely ask customers for feedback so you can identify ways for the team to do more, better, different or less. If your business is on-line only, don’t let that stop you from picking up the phone, introducing yourself to customers and thanking them for their orders. If you don’t have phone numbers, a personal email to say thank you goes a long way towards building a positive feeling about your business. If you would like to educate and motivate your team to learn more about your customers likes and dislikes, grab a copy of my book "The A-Z of Service Excellence". It is packed with ideas, insights and actions that will take your teams' service from good to great.